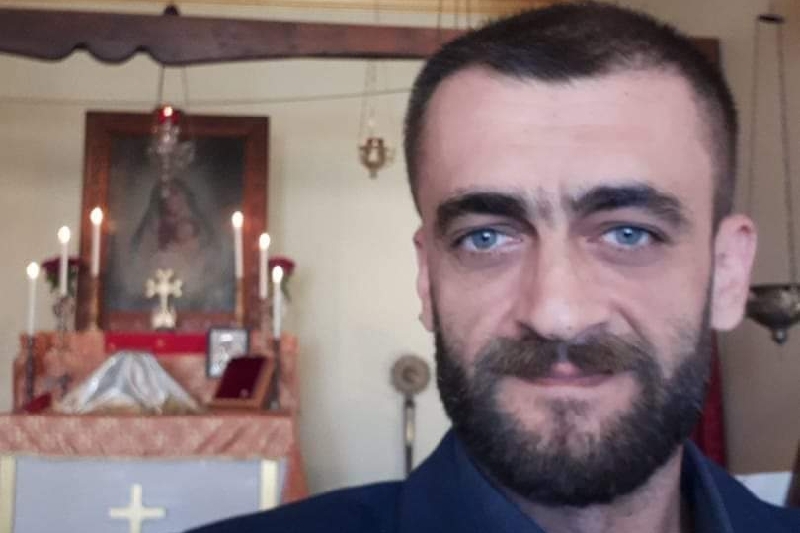 Fundraiser by Lusine Movsesyan : Stand by Vahe! My dear friend, whom I know for over 25 years was diagnosed with pancreatic cancer. Only two weeks after his 44th birthday, Vahe was in ER with severe abdominal pain where he was diagnosed. Vahe since then have met many amazing doctors, went through examinations and run several tests. As of now, medical team is awaiting for some results and conclusions to determine the most effective treatment plan for him which will most likely take place in Germany. Treatment plan will include chemotherapy, radiation and surgical procedure. The medical cost for treatment is estimated at or exceeding $50,000. 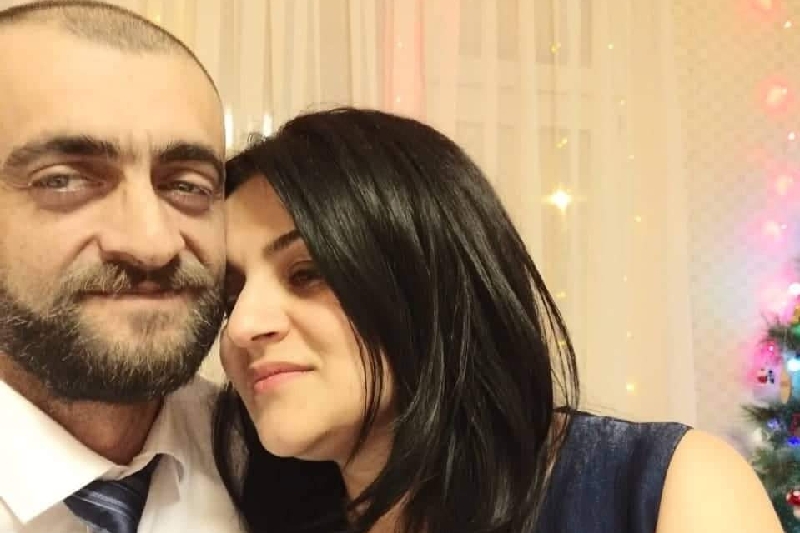 Vahe is a caring son, a wonderful brother, an incredible father, a loving husband, dear friend with an amazing sense of humor and a humble human being with a big heart that is always willing to help others. He is a talented musician and a poet. Some of you might remember him from 90s: his unique style and distinctive voice, his songs that brightened up the days and warmth our hearts, gave us so much love and joy. Now it's our turn to give back love and support, show that he is not going to walk this road alone, that we are here to help him emotionally and financially to fight this terrible disease and win the battle. 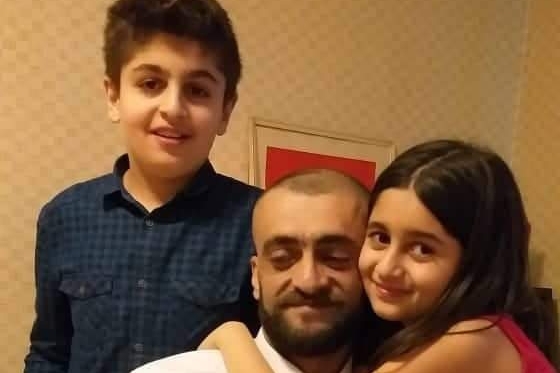 Vahe is a father of two beautiful children, a 11 year old son and a 8 years old daughter, who are eager to see their father regain his strength and energy. Dear friends, family members, generous strangers, Vahe's family is going through extremely difficult times. This was a devastating news that changed their lives dramatically. Even the smallest contribution is an enormous support to the family. Please keep Vahe and his family in your prayers during this time. Thank you for your love and support! Vahe's family expresses their heartfelt gratitude and appreciation to each and every one of you for standing by their side during the last few months, and for your emotional and financial support. As of now, Vahe is in a hospital in Moscow, due to the blockage of the bile duct. High level of bilirubin in the blood caused jaundice. He went through three surgical procedures to put a stent in. The first two procedures were not successful and did not give positive results. Finally, a metal stent was put in and the function of the bile duct was partially recovered. As soon as the function is stabilized, Vahe needs to continue with chemotherapy. With your generous donations, he already had four courses of chemo treatments and good results were recorded: it stopped the tumor from growing. Doctors advised that it is critically important to continue chemotherapy to control the cancer and prevent it from spreading. The chemo is being purchased from Israel and the cost of each course is $2,500. However, his family has financial difficulties and can not afford it. 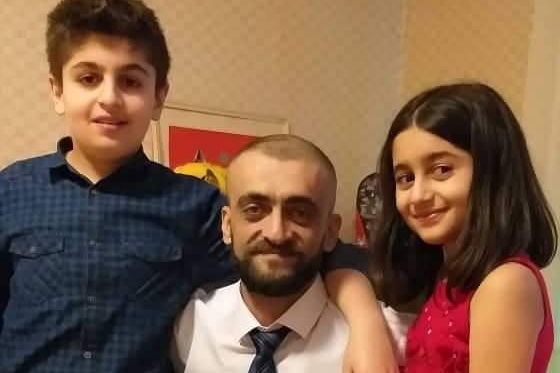 Dear friends, generous people, once again, Vahe's family is asking for your help! Please donate as much as you can, as no contribution is too little. No one is promised tomorrow, so let's be kind and do right things while we're here. Give love and support, it will come back to you. I'd like to thank you all once again for your continuous donations and support. You have made a real difference. You are a life saver! Vahe has finished second course of chemotherapy a week ago and, thank God, is feeling better, have less pains than before, which gives hope that therapy is successful. While, on the other hand, he is dealing with weakness and depression, few of many side effects of chemotherapy. But with your kind and encouraging words he is staying positive and strong and day by day getting closer to the victory. Vahe has incurred and will be incurring significant costs associated with travel over last months for oncology consultations and testing in Armenia, Israel and Russia, as well as for medical and drug treatment. As you can imagine, it will be impossible for him to cover such expenses without our help. That is why I am asking on behalf of my friend, his family and from me personally, please help by donating whatever you can afford, anything counts and nothing is too small. Please help save one bright human life, give him a chance to be around his beautiful family, to walk side by side with his lovely wife, to be an inspiration and an example for his adorable children, to return peace to his honorable parents and joy to his sweet sisters. Vahe has devoted his entire life toward providing better life for his family members, improving their lives, lives of his friends and strangers. By creating delightful songs with memorable melody and charming poetry he touched hearts, filled up lives and lifted up spirits. Although he left the musical industry awhile ago, he never stopped writing. The sparks from his gentle soul always kept his passion alive and I believe that soon these small ignitions of inspirations will turn into special songs or a great rock opera, into something beautiful that will surely add love and kindness to this world. Friends, our Vahe is fighting to save his life and I am asking you to help me please help him do just that. Let's stand by his side and contribute as much as each of us can. Let's give hope and love so he can live. Please spread the word, share Vahe's story with your friends, families, with generous and humane people on Facebook and on other social networks so we can reach our goal. Please keep Vahe in your thoughts and prayers, send only good vibes and positive messages to keep him going. I'd like to share some updates with you. In the result of complex testing completed in Rambam Medical Center in Haifa, Israel, Vahe's initial diagnosis was confirmed - pancreas adenocarcinoma (pancreatic cancer). Histopathology revision - Well to moderate differentiated adenocarcinoma. Involvement of a contrast agent in the body of the pancreas 4,3 - 4,7cm, the tumor envelops the celiac artery and its divergence. Involvement of a contrast agent in the paraaortic lymph nodes and retroperitoneal on the left. It is in inoperable form at the moment. For now, it was recommended to start the chemotherapy scheme. After 4 - 5 courses of chemo, he will have to go through re-examination, to re-evaluate the conditions, as well as blood test control done every 3 weeks. General and biochemical blood test was recommended one day prior to every chemotherapy course, for comparison. This is going to be a long struggle for our dear friend and without our kindness and generosity it will be impossible for him to win the battle. It's true that cancer does not have a face until it's yours or someone you know. We know an amazing human being, a humble person, a wonderful friend, talented musician and singer, who is very much loved and deserves a chance to win this fight against cancer. With his strong faith, unbreakable spirit, and enduring will, there is no doubt that he will succeed and will turn the page of this challenging life chapter soon. This holiday season, the season of hopes and miracles, please open your hearts, and continue to show your love and support: help Vahe and his family in this difficult time, stand by his side, and encourage him to never give up. Please continue to spread the word and share Vahe's story with your family and friends. even the smallest contributions can make a big difference. Each one of us can make a difference, but together we make change. I believe that with your prayers and kindness a miracle will soon be coming Vahe's way. Wishing you and your loved ones a very Merry Christmas and Happy New Year!